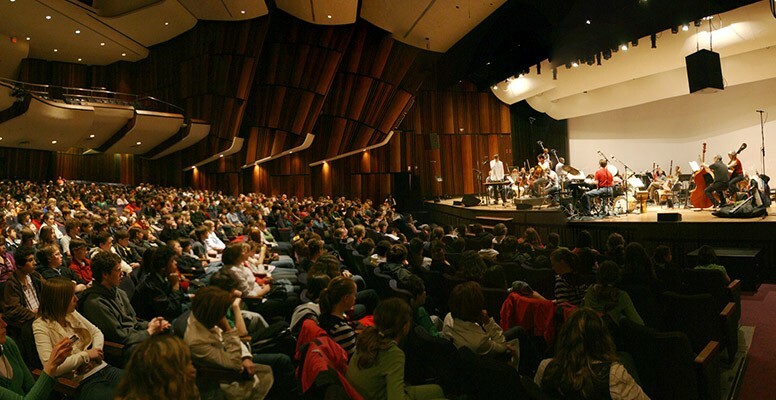 Symphony Nova Scotia’s Home School Dress Rehearsals are a chance for homeschooled children and their parents to experience the symphony onstage in the concert hall at a very reduced price. An emcee or the guest artist will guide your experience, and provide information about the rehearsal process. Please note that all of these events are working rehearsals, and are not intended to replace a live concert experience. This is an opportunity to watch and listen to the symphony in action as the musicians get ready for a concert – so the music will be polished but not final, and the players won’t be formally dressed. All Home School Dress Rehearsals take place at the Dalhousie Arts Centre, 6101 University Avenue, Halifax. Start time is always 10:00 am on the morning of the day of the regular concert. Tickets are $7 per person (HST included), plus service fees. Please note: Home School tickets are only available through EventBrite, and are not available through the Dalhousie Arts Centre Box Office. See below to buy!